This little piece of gear will change how you shoot while adventuring. Trust me. The first time I took my mirrorless camera (Sony A7) on an adventure, I quickly realized what an advantage its light weight had on big days. I was doing a 25 mile day hike on the border of Alberta and BC -- the weather wasn't great, and my partner's massive d800 pretty much stayed in his pack the entire time. I kept my A7 around my neck and under my rain jacket, and got a bunch of shots; he didn't want to go digging around in his pack. Having the smaller/lighter full-frame changed the way I shot. 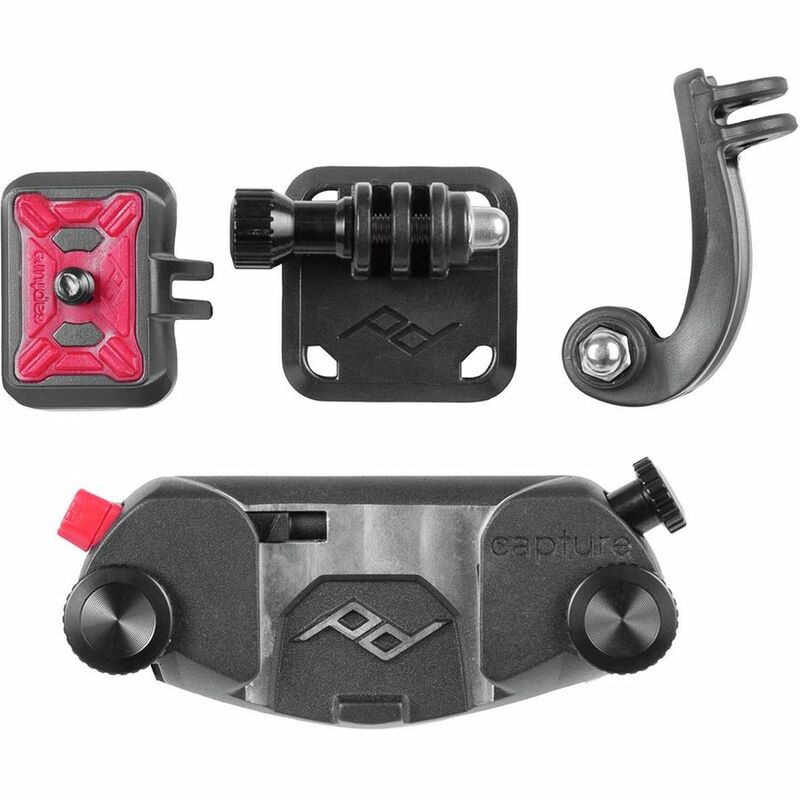 Fast forward a few years, and I discovered the Peak Design Capture Clip. Second to carrying a lighter/smaller camera, this little gadget has completely revolutionized the way I shoot while outdoors. The clip attaches to your backpack arm strap, and combined with a shoe that screws on the bottom of your camera, it secures your camera and makes it quickly accessible at all times. I had many of the same thoughts that you're probably having -- "How sturdy is it?" "Is my camera going to just fall off and break into a million pieces?". I'm happy to say that security and durability this has never been an issue for me. I've used it climbing, hiking, backcountry skiing, mountaineering, and backpacking with great success. It's hard to put into words how much of a difference it makes having your camera so accessible. Additionally (besides being quite visible), it's much more secure to use while traveling. Because the clip "locks" every time you put the camera on, you don't have to worry about your strap getting cut and your camera grabbed. While I primarily use the clip for my A7rii and a6300, it supports heavier full-frame cameras and lenses as well. Peak Designs says that it will support well over 200 lbs (although if you're carrying that much, I think there's other things you need to re-evaluate). Get a Capture Clip for yourself, you won't regret it!